Are you ready to start thinking about building the home of your dreams? 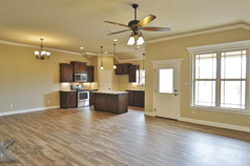 Make your dream come true with help from the home construction specialists at Platinum Builders of Abilene, TX. 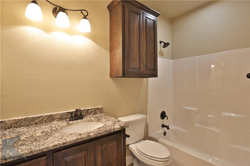 We also specialize in all types of additions and remodels. As expert custom home builders, we can also create an upscale dream home for you. Unlike other companies who just want to rush you through the experience, we actually take the time to work with you because we want to help you make the right decisions to bring your dreams to life. We have been doing this since 2002, and there is no better motivation of ours than seeing our customers happy and loving their new home. We employ the most hardworking and experienced professionals because we want to give you flawless results, each and every time. We think you deserve nothing but the best results, so we hire the best! It may seem like a custom home project would be overwhelming, but we work very hard to make this an enjoyable and smooth process. How do we do that? We work very closely with the person in charge – you! From the initial consultation, we take detailed notes to get all of your ideas and needs down on paper. We will then have all of the information we need to exceed your highest expectations. We can build the beautiful custom home that is perfect for you and your family. Call us to start discussing your dream home today! Call Platinum Builders to build you the kitchen, bathroom, master bedroom, etc. of your dreams. You’ll be amazed at the work we can do for you. 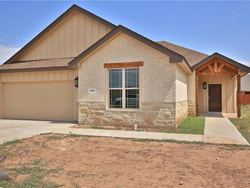 Proudly serving Abilene, TX, and the surrounding area, we can help you enjoy the home of your dreams.